TYSONS, Va. — Ask local commuters about transportation priorities, and almost 6 in 10 say they’d like to reduce trip times. And more than half say they’ll be interested in trying a driverless car when they become available. In a survey of northern Virginians on the region’s long range transportation plan, more than 70 percent said the region is doing a “mostly bad job” in managing traffic flow and congestion. The Northern Virginia Transportation Authority commissioned the survey as part of its effort to involve the public in updating the regional plan, dubbed TransAction. Martin Nohe, chairman of the NVTA and a member of the Prince William Board of County Supervisors, says only 8 percent of the 610 adults questioned had ever heard of TransAction. In a news conference near Virginia Route 7, over the top of the Dulles Access Road, announcing the findings of the survey, Nohe said the problems of transportation cross jurisdictional boundary lines. “People look at transportation in northern Virginia with a grim look, and you only have to look behind us to see part of the problem,” said Nohe. 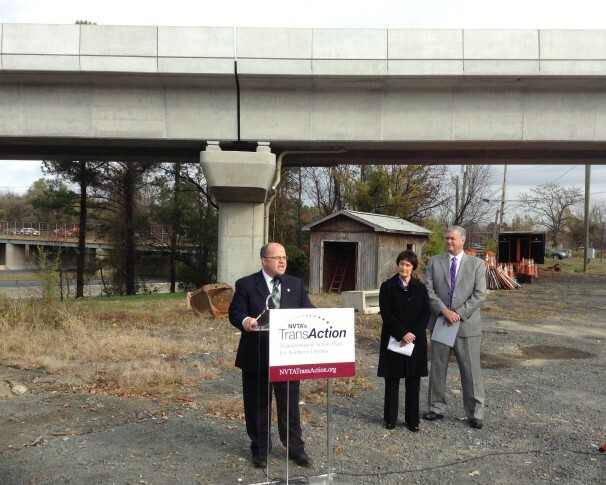 Bulova says Metro’s Silver Line stations at Wiehle Avenue and Tysons are serving more riders than anticipated. “Some of the things we thought would be a problem, like not enough parking at the Tysons station — that turns out not to be an issue,” said Bulova. While current regional funding plans include widening the Virginia Route 28 and U.S. Route 1 corridors, Dee Alsop, CEO of Heart+Mind Strategies, which conducted the survey, says commuters are looking into the future. And that includes driverless cars. Nohe says the long-term plan has to be flexible enough to include emerging technologies. Still, with Google predicting driverless cars will be on the market within five years, Nohe says regional planners are ready. “Five years ago it seemed like science fiction; today, the prototypes are being tested in Northern Virginia,” says Nohe.